Alcatel-Lucent said it has signed an agreement with UAE telco giant Etisalat to deploy its motive customer experience management (CEM) portfolio for the mobile and fixed-line customers in the UAE. The deal was signed at the recently concluded Mobile World Congress in Barcelona, Spain. 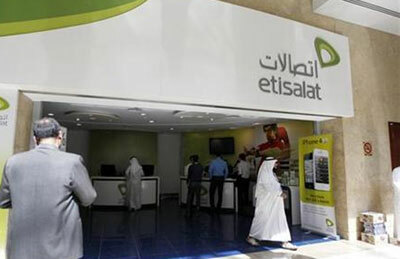 To provide both care agents and customers more control over their service experience, Etisalat will deploy Motive CEM solution in its call centers, said a senior official. “Together, Etisalat and Alcatel-Lucent have shaped the high quality of service our customers have come to expect. With the end-to-end Motive Customer Experience Management solutions, we are taking that quality of customer service a step further by providing consistent, automated, self-care capabilities to our mobile and fixed network customers in the UAE,” noted Saleh Sayed Ahmed, VP for Digital Services & Customer Experience, Etisalat. Etisalat, he stated, will use the solution to gain greater visibility of ultra-broadband traffic as well as the applications and devices using its fixed network and 4G LTE network supporting cloud services. New workflow tools for agent-assisted, self-help and proactive care will enhance the end-to-end customer experience across mobile data, mobile voice, IPTV, entertainment, ultra-broadband Internet access and voice services, he added. Amr K. El Leithy, the president, Alcatel-Lucent Middle East, Africa, Turkey & Azerbaijan, said: "In the UAE - one of the most advanced telecom markets in the world - Etisalat continues to make the customer service experience its top priority."